Sound (7.8/10) – Whereas the similarly-priced N3i model pulls out all the stops in the pursuit of visceral bass and head-turning ambience, the XE200PRO is a slightly more level-headed take on the consumer-friendly sound common to the Xears earphones. Its bass is lower in impact and flatter than that of the N3i, with a punchier, crisper sound and slightly quicker note presentation. Sub-bass power and rumble are also reduced and the bass doesn’t bleed into the midrange as much as with the N3i or TD-III. In typical Xears fashion the low end is still anything but lacking but on tracks with plenty of bass the XE200PRO edges ahead of the N3i in resolution and clarity. The midrange is smooth and detailed. It is similar in both emphasis and technical proficiency to the N3i model but there is not as much bass to get in the way with the XE200PRO. As a result, while the XE200 is not as warm and rich as the N3i, it textures notes slightly better and sounds more level overall. The overall clarity competes with the far more analytical XR120PRO and the timbre is quite good, as with the other higher-end Xears models. The top end appears to be slightly more prominent than with the N3i and TD-III but still is not a focus of the sound signature. It sounds a tiny bit edgy next to the softer and slower N3i but doesn’t have any major adverse effects on the sound. Top-end extension is decent as with the other Xears models. Soundstage size is similar to the N3i but, while the N3i has the ambience of a large but enclosed space, the XE200PRO sounds a bit more open. It is not the most well-separated presentation but the layering is good and the positioning yields no surprises. It’s a well-rounded presentation to match a well-rounded sound signature. Value (6/10) – Completing the triumvirate of higher-end Xears wooden IEMs, the XE200PRO provides a slightly more balanced alternative with all of the technical capability of the N3i. Above all else, the XE200PRO is a well-rounded, relaxing listen that sacrifices a bit less fidelity compared to the N3i and TD-III models. It is much the same story with usability – the fit is less fidgety than with the N3i and the driver flex is less noticeable, though the housings are still very large at the front. 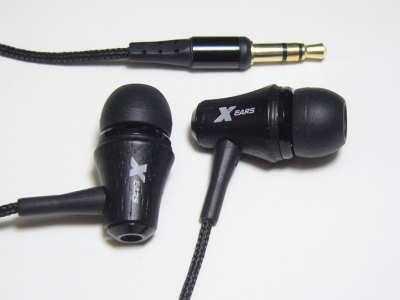 All in all, the XE200 is a good earphone, but a good value only when found at a large discount.